MILWAUKEE -- It's no secret Harley-Davidson has struggled to sell to millennials. The company plans to unveil its strategy next week to do just that. Harley-Davidson hopes to have 2 million new riders by 2027. Some argue affordability is key, others say nothing will get them on board. At 29 years old Russell Edlund has already owned a Harley-Davidson for 10 years. "It gives you a feeling of freedom, it gives you a sense of independence," Edlund said. David Richard has owned his for four years. "Being able to go anywhere anytime you want," Richard said. "The friends, the community it brings you around." Both millennials bought in on the American icon that's built in Milwaukee. The problem for Harley-Davidson is they're hard to find. "They're very dangerous and I'm not sure I could support one physically," said Kendall Yorkey of Milwaukee. Industry analysts say millennials are buying far fewer motorcycles than prior generations did at the same age. When asked what keeps Max Holiday from purchasing a motorcycle, he responded, "Money, time, I don't even have close to that idea of money...."
The list goes on for Holiday. "I don't know if I'd take one if it was given to me for free," he said. The company plans to address some of those concerns next week. Harley-Davidson said its strategy starts with new products. Over the next 10 years the company plans to launch 100 new high-impact motorcycles including electric models. "One of the biggest obstacles with Harley is they are pricey," Edlund said. 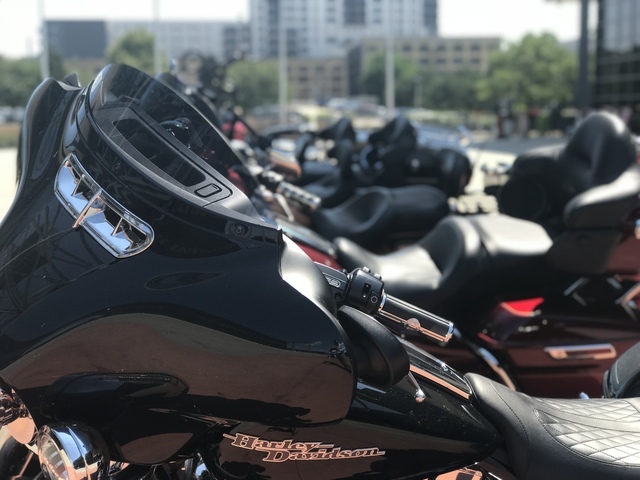 Harley-Davidson said it plans to provide broader access to customers by meeting them where they are and make their products visible where you'll find just about every millennial: Social media.